Top BigLaw Firms on the Social Web – Web Presence Esq. Social Media is not just for tweens. From properly managed blogs to Twitters accounts breaking legal stories and YouTube channels teaching potential clients about their rights, Social Networking is enabling law firms of all sizes to connect with potential clients, referral sources, and expand their reach. In today’s competitive legal market, it’s not enough to just ‘be.’ Your law firm’s Web Presence is a crucial part of the business development process. If your firm, or one of your top attorneys (you? ), are looking to stand out and develop your brand (yes, lawyers and law firms are considered ‘brands’) then you need to be in front of your target audience. Whether that audience is journalists, future alleged criminals, yet-to-be-harmed plaintiffs, or other legal professionals, you will reach them through the Internet. Holland & Knight – specifically the Public Policy & Regulation group for it’s engaging, informative Facebook page that highlights client and attorney accomplishments. 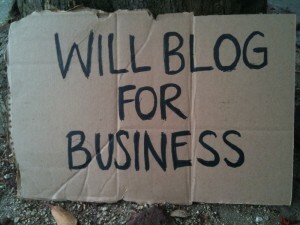 Social Media, specifically blogs, can be a landmine of business development potential. As seen with some of the country’s top law firms, a well-written and properly maintained blog provides an ideal opportunity to highlight the strength of your legal team and allow attorneys to showcase their knowledge in a controlled environment. If you are interested in developing your law firm’s Web Presence or incorporating a blog into your firm’s business development toolbox, contact the experienced attorneys turned Social Media professionals at WebPresence, Esq. We understand the law and your need to expand your online presence in an ethical, professional manner.